Just about a week ago I was feeling lazy and chubby. I think all I ate all weekend was cheese dishes and white bread. I knew the time had come to get my act together and get back on the healthy track. I’ve already written about my difficulties dragging my lazy, hibernating self outside in the Winter. I needed some motivation. I had just finished reading the great book “Following Atticus” by Tom Ryan. Tom and his miniature schnauzer decided to hike all 48 4,000 foot mountain peaks in the White Mountains of New Hampshire. Twice. In the Winter. They were doing it to raise money for cancer. I could not even imagine doing that, even for such a good cause. But I needed something to strive towards. I had heard a little bit about this Idita-Walk, but thought it was something they just did in Alaska, a walk-a-thon or something like that. Then one of my other favorite blogs, You Did What with Your Weiner, did a post on it, and explained more what it was all about. What perfect timing! This was the motivation I needed. What is it all about? The Idita-Walk is a fundraiser to benefit youth programs in Nome, Alaska. It is also about promoting physical fitness. The goal is to walk 1049 minutes (one minute for each mile of the Iditarod sled dog race), between February 1st and March 31st. They suggest 35 days of walking for 30 minutes each, but you can actually break up the minutes/days in whatever way you’d like, as long as you reach the goal of 1049 minutes. I had to think about this for a couple days. If I set out to accomplish something, I don’t want to fail, so I wanted to be sure I’d be able to meet the goal. I ran the idea past my husband and he thought it was great. I consulted with my beagle, Kobi, my walking partner. He was all for it….after all, he is happy to get outdoors and walk no matter the weather. With the encouragement I needed in place, I signed myself up, and joined the Team Dogventurers, a group of pet bloggers who are all participating in this. We will write a post about it at the end of February and March to report on our progress. I printed out my “walking contract” and posted it so I will see it every day. I got the cool exercise ticker that I will display on my sidebar to show my progress. For anyone who would like to join us, the entry fee is only $10, and you will receive a lapel pin that you can proudly wear to show your accomplishment. Just click on the photo below to sign up. 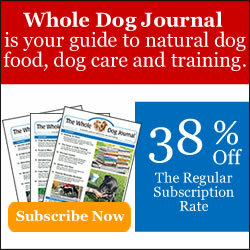 You can sign your dog up to do this, or yourself. I signed up myself, instead of Kobi, in case I decide to take one of the other dogs out also (they prefer to play ball, but they all still love to walk too, I just can’t take all 4 at once). Now that we got about a foot of snow last night, I will go out on my own and blaze some snowshoe trails around our land, to make it easier for Kobi. I want to be able to count those minutes too! I was just on another wonderful blog who is participating, mygbgvlife.com, and Emma, the Grand Bassett Griffon Vendeen (indeed), has already walked 560 minutes, and only has 489 to go! I had to count my short walk last Sunday, added to our first official one on Thursday; to get to my total of 35 minutes so far. 🙂 I will be weather driven, so I can imagine that the majority of my minutes will be tallied in March, when (hopefully) the weather is a little warmer. My plan is to do shorter walks on the colder days, and longer ones on the warmer days. I hope to enlist my sister to join me, and help me log some minutes. She doesn’t have a dog right now, but I let her borrow one of mine to walk! We just got that foot of snow, and today is still windy and cold. Tomorrow the sun is supposed to shine and it will be a little warmer, so I will get out and blaze those trails. Then I will take Kobi out on them. We are on our way, joining many others around the country, and we are determined to reach our goal. Let’s go, Mom! I am ready to be a Dogventurer! What a great idea. I think we’ll have to check out this Idita-walk and maybe join! We walk or run everyday anyways, may as well do it for a good cause! Exercise is so important both for you and your dog – that’s what we are all about over at SlimDoggy. Luckily, we live in California, so we don’t have to contend with the cold & snow…just rain. Good luck! Thanks for the mention 🙂 I hope you do get out and get walking…mom, my sister and I just love walking but we may be extreme…we walk in all weather 365 days a year averaging 1-2 hrs a day. This past week mom had a nasty cold so our times were down a bit but we were still out there. You can do it and you will feel better once you get it into your routine. If you lived nearby we would love to walk with you to get you going but I doubt you live in MN. Oddly enough we walk more in the winter than in the summer as that cold air is so peaceful and refreshing…we know, we are odd but we are happily odd…go get ’em and walk that 1049 either now or in March! Thank you for the encouragement, Emma! I wish I was closer so I could walk with you….but I am all the way over in NH. I think it is great that you walk every day….all that fresh air and exercise is so good for your health and for your Mom’s also. I have trouble dragging myself out into the cold, but once I get out there I am so glad I did, because it is so beautiful with the snow. It is supposed to warm up a little today, so we are planning on getting out there! What a great idea! Good Luck! I will try to work up my courage for this next year! Glad you are joining our team. I am slow to get started too. Good thing we have two months to do it in! Ha, ha. I read Following Atticus last year. As you know, hiking small dogs are near and dear to our heart. We could totally relate to that story. I wish we could go hiking with Atticus. It would be fun to see your weiners hiking with Atticus. Small dog power! Or even better, the three of them lined up staring out at the view!